Dante Alghieri’s Divine Comedy is one of the great classics of world literature, and a personal favorite of mine. Unfortunately, unless the reader is familiar with the Bible, Christian theology, classical mythology, and medieval Italian politics, he is going to miss many of the allusions in this great poem. Of course, it is possible to enjoy reading the Divine Comedy without knowing very much about all the people Dante encounters but it is so much better if you have a guide with you, as Dante had Virgil. 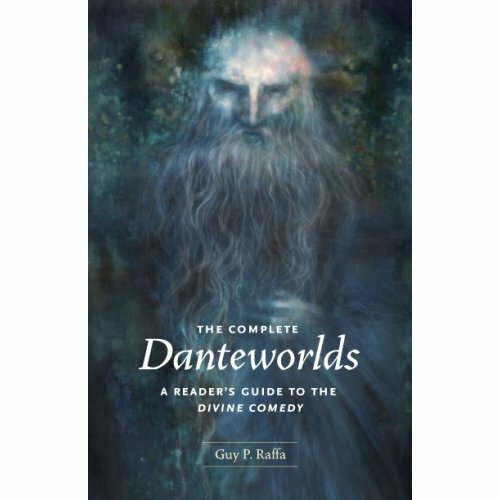 The Complete DanteWorlds by Guy P. Raffa is the perfect guide to the Divine Comedy. In this adaptation of his website, Raffa takes the reader through each section of Hell, Purgatory, and Paradise, explaining who every person or creature Dante encounters is and every allusion made in his poem. He clarifies some of the more obscure points in the poem and generally greatly enriches the experience of reading Dante. Don’t go to Hell without it!